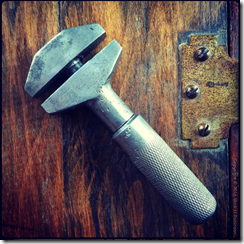 For Cooltool Tuesday, I offer this delightful adjustable wrench – and a genuine mystery hand tool challenge. At only four inches long, it is really quite tiny – but it is extremely well made, with tight tolerances and a smooth and gradual operation, and oozes quality. 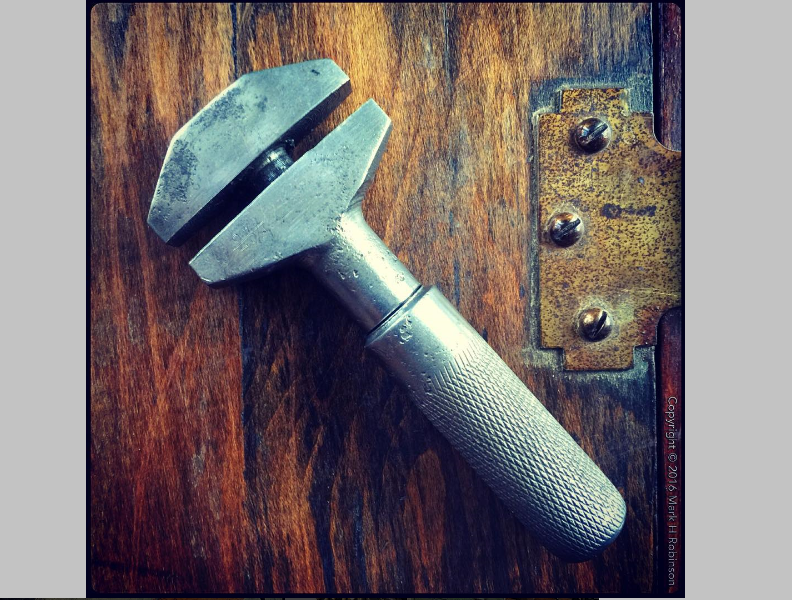 The mechanism is also ingenious… Twisting the handle moves the upper jaw (did I mention the smooth and gradual operation?). The thread pitch on the spindle must be much finer than that usually found on a wrench… In fact, it handles more like a micrometer! So, that’s all very nice, but where’s the mystery, I hear you ask? Well, for once, I have absolutely no idea who made this, or when it was made. Something about it feels European, maybe from the ‘between the wars’ era (1919-1939), but that is pure speculation on my part. I’m hoping one of the many very knowledgeable collectors and makers who follow this feed will have definitive answers. If so, you will be rewarded with the usual bragging rights, and in this case, something a little more… The first person who can point me at a patent, a catalog entry or some other proof of by whom and when this was made, will also receive a little something from the vast archives (don’t know what, yet, so don’t ask!) For those that care, the background is the top of a tastefully and sympathetically restored Sweetheart-era Stanley toolbox.